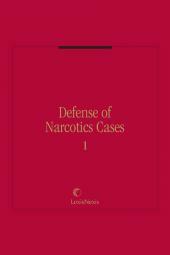 • chemical testing, including physiology, pharmacology, analytical techniques, and the admissibility of chemical test evidence. Extensive scientific material is included on the effects of alcohol on the body and the chemical testing methods and devices used to determine alcohol concentration. 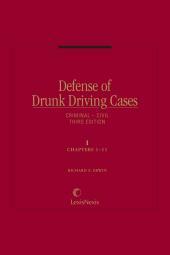 Volume 4 is a comprehensive Practice Guide, authored by prominent drunk driving defense attorney Richard Essen that provides step-by-step guidance for maintaining a drunk driving practice and handling a case, from pretrial preparation through trial. 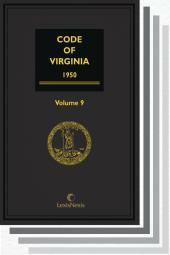 Included in the set is a Statutory Appendix of drunk driving-related provisions from all 50 states, the District of Columbia, and the Uniform Vehicle Code.